September 23, 2010, "Desperation revealing the great need for Hope"
Two hands on the wheel, the windshield blurred with pouring rain as she drives with caution. Her mind divided; overwhelmed with thoughts of tomorrow, next month, next year. Questions annihilate her mind, "How could I have done a better job being a wife, mom, and friend?" Regrets perpetuate the sound of hopelessness. Suddenly, the interruption of being kicked from behind, jolts her to jump as the chaos of disunity permeates the car from the backseat, revealed by her children. Disharmony quickly fills the atmosphere. Revealing great frustration, she shouts, "KIDS! JUST GET ALONG!" With great intention and force her right hand bends the rear view mirror down to her eye level as she can see their eyes staring back at hers. Simultaneously, a chorus of, "BUT Mom! SHE'S TOUCHING ME" comes back in unison from the back seat! She grits her teeth and in a controlled, sharp tone she says, "If there is not quietness in 3 seconds, I am pulling this car over to the next exit and each of you are getting a spanking, is that UNDERSTOOD?" Their eyes big with knowing the seriousness of mom's tone, they said at once, "Yes ma'am". Instantly, the car filled with quietness as she was back to her thoughts of regrets; reminded yet again, "See, look at you, if others could see you right now, you would be exposed!" The overwhelming thoughts of disappointment and failure rush her at once, when suddenly she couldn't take it anymore, emotionally breaking down she pulled over to the next exit. She sobs as she had enough, "I can't do this anymore! I'm at my breaking point!" "God! Help me!" "Please! Help Me!" I interrupt this fictional, yet scene that has overtaken many, reminded that those around us are filled with the desperate cries calling out to God. I am reminded that I say I know the 'Hope of Glory', my Jesus; but am I revealing His glorious hope? Am I so intoxicated by my own concerns of this life? As I am reminded of my 'Hope of Glory', it provokes me to recall the Joy of my Salvation. I recall the day I saw Redemption not only coming near, but annihilating my life! O, how I must recall that glorious moment when The Hope of Glory became my personal Hope fulfilled! There are so many who are driving in circles, getting nowhere fast! Attempting with great desperation to get out of the dead end road of life. Will I show them the Way? I am reminded that as I reveal the Way; The Truth and the Life, the Hope of Glory will lead them on the road of great joy no matter the circumstances that await them. The bumpy road of this life cannot be traveled alone. Our Jesus Who is the Way longs to be Who He is; their Answer. The Answer to their desperate cries of hopelessness. Will I become the answer revealing, The Answer? Father God, thank you for the reminder of seeing others through your beautiful eyes of Love and Mercy. Lord, I have the Answer within me and with me. Thank You God for Your Spirit, the Holy Spirit that is within me, Who provides Strength and Comfort. My Teacher who guides me into Truth. Thank you for Your boldness that allows me to approach Your throne of Grace, and also allows me to approach with confidence others who are in need of You. Thank You for the Words to speak, the embrace to reveal a glimpse of Your beautiful, loving embrace. Father, You are awesome and majestic, Your Splendor is beyond description. I long to hear the cries of hopelessness so that they can receive with joy, YOU their Hope! You are beyond Lovely and Beautiful. I love You Lord, In Jesus Mighty, Majestic, Victorious and Triumphant Name. Amen! Suddenly, with great power this petite, thin woman violently opened the heavy door, which ricocheted off the wall, slammed, and opened again. Frustrated, she had her phone resting between her shoulder and face, as she held the door open with her foot, picking up the pile of checks and, one at a time with extreme motion, shuffling through each one as she threw each one on the desk until she finally found mine. I fought with the agony of wanting to leave. The ‘runner’ in me attempted to cause me to escape. To make matters easier to leave, I worked at a particular restaurant chain in which this store was known to have the highest turnover rate in the whole state. The turnover was mainly due to her lack of ability to manage and coach people. It was quite overwhelming as she was someone in which you would not want to be on her bad side. That moment, as I released a blessing over her, I had peace, even through the frustration. Within three hours, I realized I had a missed call and a message on my voicemail. Upon checking my voicemail, it was none other than her! This woman, never known to apologize, was calling me to apologize for the way she acted and pled with me not to leave, explaining to me the events that led to her exploding. At that moment, I realized that the blessing of God that was released over her was also released over me. I got to see God’s hand of favor and provision work in my life as His Word manifested making a way, getting through the uncomfortable situation. To hear her apology made me realize her need of wanting to be understood even through her embarrassing outburst. I came back that same evening to work my double shift when I was able to hug her, watching God’s love be poured out upon an unlovable person. Now, I realize this doesn’t happen often, but for me, through this situation, we became close friends and people that I worked with saw another side of this woman that none of us knew existed. It was amazing to see God utilize me to cultivate and experience the way God saw her as His loving embrace began to squeeze His life out of her. The other times I didn’t see anything on their part change towards me; however, and most importantly, I saw change in my heart as compassion for that person came forth from the Holy Spirit of God. The power of blessing our enemy is not because we decided to bless someone. It is because we have decided to become obedient to God and His Divine Nature who is The Blesser. We have been equipped to utilize God’s power of blessing over another person as we are able to sow righteous seed, seeing the righteous harvest of life from Almighty God, revealing His glory upon the earth! I am reminded yet again, that to curse an enemy is to curse oneself; however, to bless an enemy is to bless oneself. 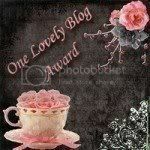 This post was posted on Heading Home's blog...Lynne is an amazing writer and woman who loves our God! Please visit her...you will be blessed!